This week the baby is growing steadily. Weighing in at 1.3lbs. The brain is developing very quickly and taste buds are also developing. 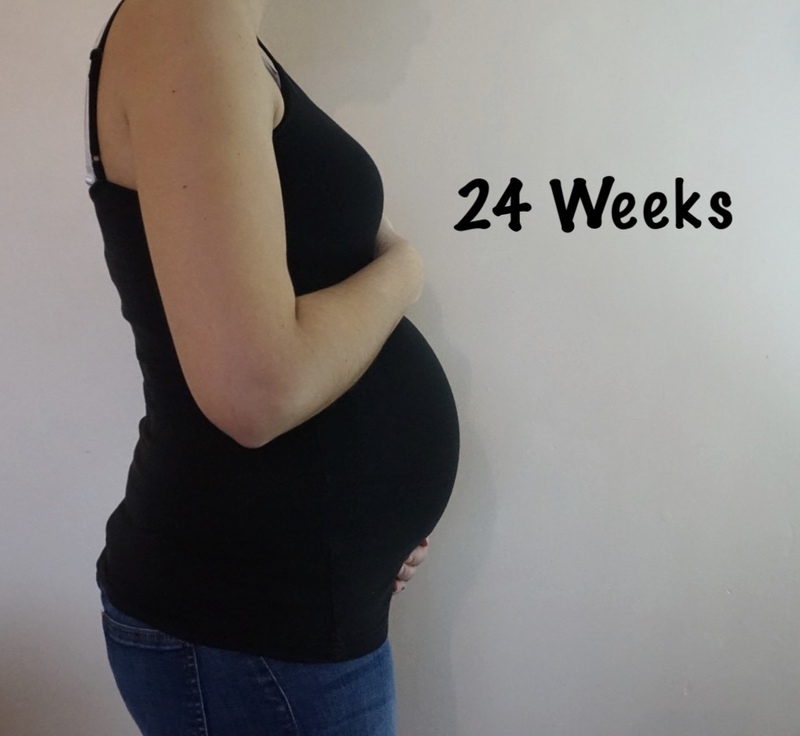 At 24 weeks the baby is also capable of surviving outside the womb, although they would need a lot of help. I always love getting to 24 weeks. It feels like a big milestone. This week i've had more back and hip pain, it's usually there in the background but occasionally plays up and hurts. I also had a funny day where I felt really dizzy and light headed and just not right, I think it was due to babies position. I've also had some bigger movements this week where I can feel baby on opposite sides of my belly, they are getting so big! Quite interestingly I am quite small so far this time. I compared bump pictures of when I was pregnant with Harleigh and I look tiny this time around. There's plenty of time for that to change though! I'm not having very many cravings, but I am really enjoying mayo and Jammie Dodgers. Separately, not together!